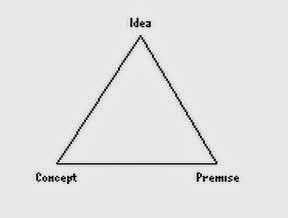 “Idea” is one of the most dangerous words in storytelling. Every story begins with one, in some form… so what’s so dangerous about that, you ask? Ideas are wonderful things, right? 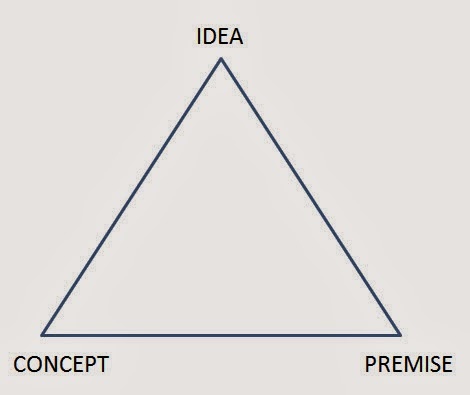 In the most obvious conversational context, “idea” is a generic term for a creative unit of thought… certainly a good thing. Bring on those creative units. “I want to set a story in the future, on the moon,” is an example of an idea… that isn‘t a story yet. It requires many more units of creative thought to become an actual story. “Make it a love story…” that’s yet another idea, but still not a story. Let’s allow that one to sit there undisturbed in this obvious and worthless generic context. Because there’s another take on idea that can, if not fully grasped, kill your story. In fact, this one explains a significant percentage of stories that don’t work or at least don’t distinguish themselves, leading to a preponderance of rejection slips and bad word of mouth. The Bermuda Triangle of Storytelling http://ow.ly/tVT9v @storyfix "Every story begins with one, in some form…"